Every day this week Tattered and Inked is sharing a new Christmas printable. 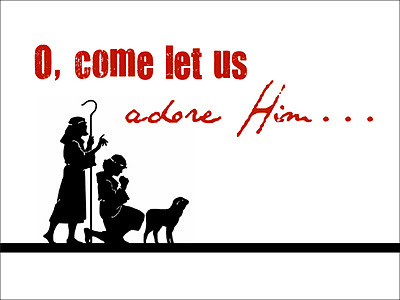 Right now you can download this beautiful O, come let us adore Him printable and the reindeer name Christmas printable over on her site. 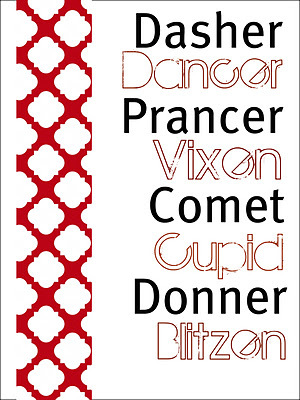 You can also check out more Christmas printables from last year under the Christmas printables tag. Both are adorable. I really love the reindeer names. What a great idea!! I'm having a printables party Dec. 1-12 with alinky on the 12th! Thank you for sharing these! So glad you liked them :) I'm having a little too much fun with making them! !